Hungarian-born and Germany based Zsolt “Mr. Lefthook” Bedak, the WBO No. 1 contender, fights outside of Europe for the first time in his pro career May 29 against WBO Junior Featherweight Champion Wilfredo “WV2” Vazquez, Jr., headlining the “Undefeated Champions” pay per view event, airing live in the United States from Bayamon, Puerto Rico. Paul “The Punisher” Williams, 38-1, 27 KO’s, coming off his victory over Sergio Martinez in his last fight will be taking on former IBF Welterweight Champion, Kermit Cintron, 32-2-1, 28 KO’s, in a twelve round battle on HBO. Williams has long been considered the “most avoided man in boxing,” due to his freakish size and great punch output. 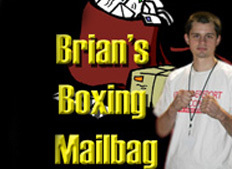 He seems to improve with time and has traveled from welterweight to middleweight without issue. He brings power, but his power is in the amount of punches he throws. 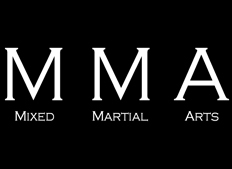 There aren’t that many fighters that can deal with him. His only defeat came against Carlos Quintana in 2008. In the rematch, Quintana was left in a heap on the floor in one round. 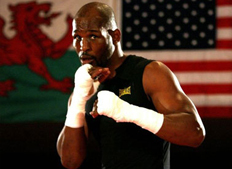 He has beaten Antonio Margarito, Winky Wright, and Verno Phillips, and had an unexpected war with Martinez, a bout that he won by majority decision. It’s been two years since David Haye obliterated Enzo Maccarinelli to defend his WBA/WBC/WBO Cruiserweight Titles. It was the type of win that made you want to see more of him as an explosive and compelling ring talent. In particular, I hoped aloud that he would find reason to stay at 200lbs to seek out a big money high stakes unification match with IBF titlist Steve Cunningham, the thinking being he’d be the first cruiserweight to unify all of the titles since Evander Holyfield turned the trick way back in 1988. Over the last several weeks the activity level of boxing, both in the ring and behind the scenes, has picked-up dramatically. We’ve watched the explosive further career development of Yuriorkis Gamboa, enjoyed the latest ring appearance by England’s heavyweight champion David Haye, sat through what amounts to a sparring session between today’s consensus pound-per-pound king and a top-five welterweight, all capped by a thrilling middleweight title encounter and the latest installment of the Super Six super middleweight tournament. In the weeks to come the former pound-per-pound claimant and undefeated Floyd Mayweather JR will make his second ring appearance after returning from retirement when he takes on “Sugar” Shane Mosley and Paul “The Punisher” Williams looks to make former IBF champion Kermit Cintron the 39th notch on the belt that is his already formidable body of career work. 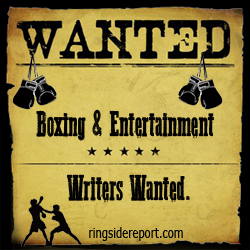 Through it all Ringside Report will be there during the build-up and through to the end result providing a pipeline for fans around the world to tap into the sport in a unique and enjoyable way. The RSR April Prediction League is in top gear and winding down to an exciting conclusion. Two key bouts remain on the roster, one of which is for bonus points, thus creating the potential for a last second upset. The RSR May Prediction League is now posted and awaiting your best efforts at fistic prognostication. Thirty-seven high profile bouts capped by the aforementioned Floyd Mayweather JR/Shane Mosley super fight round out perhaps the best prediction league anywhere on the web. I will be locking the thread on Saturday May 1st at 12pm EST. Take part if you dare. 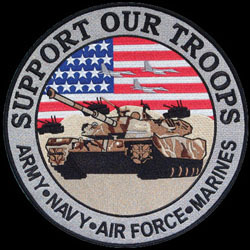 Act now using the link to submit your request. The WBO Interim Light Middleweight Champion, Alfredo Angulo, 18-1, 15 KO’s, defended his title against a game and fit Joel Julio, 35-4, 31 KO’s, chasing him down and stopping him in the eleventh round of an exciting fight. Julio elected to move and box and attempt to repeat what Kermit Cintron was able to do to Angulo, giving him his only defeat. Julio boxed and moved and was able to get some things done early on, sweeping the majority of the early rounds, but as the fight went on, he slowed down and Angulo never let up. The showdown between WBA Heavyweight Champion David Haye and former 2-Time Champion John Ruiz turned up the volume in the heavyweight division. 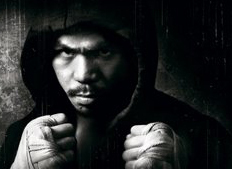 In what was supposed to be another boring masterpiece of a John Ruiz epic, it turned out to be fireworks. 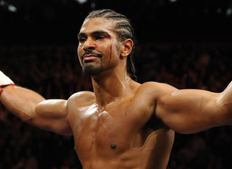 It was at the fast hands of David “The Hayemaker” Haye, whom gave fight fans plenty excitement while defending his title. This victory over Ruiz was no small task, being that very few fighters have not been able to knock him out. Haye dropped Ruiz four times in this fight, which deserves some applause. 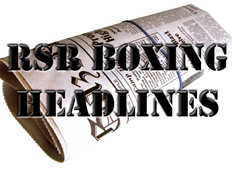 This Saturday, boxing fans will be treated to two interesting and competitive main events. 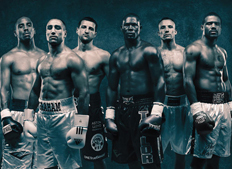 The first bout is between two European juggernauts Mikkel Kessler and Carl Froch, which is apart of the sensational Super Six tournament in the super middleweight division. This is the second fight in the tournament for both men, who are trying to get past the qualification round into the final four. There may not be a fighter in the world who is harder to rate than Carl Froch. On the one hand, Froch sits with an undefeated record. And, it’s not as though he has not fought anyone of note. Froch holds wins over Jean Pascal, Jermain Taylor, and Andre Dirrell in his last three fights. On the other hand, Froch seems to provide the distinct feeling that his undefeated record is always in jeopardy and that his ultimate exposure is inevitably forthcoming. The manner in which he struggled against Taylor and Dirrell makes it hard for some fans to recognize his legitimacy as perhaps the top Super Middleweight in the world. Still, those struggles were wins and that only makes it more difficult to assess his performance. And, all of this only signifies the beginning of the questions in the case of Carl Froch. The WEC is making its first foray into the world of pay per view this weekend, with another of its customary stacked card featuring Urijah Faber. Whether many people will be willing to pay for something that they used to get for free is another matter. Several industry insiders said a buy rate of 100,000 buys would be a good number for WEC to achieve for a first time out. Don’t you hate it when HBO and Showtime have boxing on the same night? It’s especially frustrating when both cards are incredibly interesting. HBO presents a double header with a heavyweight collision that is sure to be exciting. Former Light Heavyweight and Cruiserweight Champion, Tomasz Adamek, 40-1, 27 KO’s, has made a splash in the division with a knockout of fellow Polish heavyweight, Andrew Golota, but he is making a very big step up as he takes on the powerhouse slugger, Chris “Nightmare” Arreola, 28-1, 25 KO’s. It is set for 12 rounds for the IBF International Heavyweight Title, but more importantly, this is about making a statement to the Klitschko brothers and moving closer to a title shot. 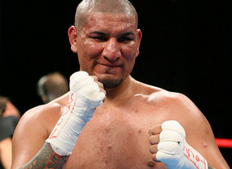 Arreola had his chance and came in out of shape in a losing effort to WBC Champion, Vitali Klitschko. He is now, reportedly, in shape, and looks to redeem himself. Evander Holyfield, 43-10-2, 28 KO’s, has not been in the major spotlight for years, arguably since his 1999 title unifier with Lennox Lewis. 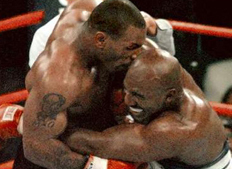 Mike Tyson, 50-6, 44 KO’s, has been out of the ring for five years. Despite those facts, the public still wants to see the final bout in an interesting trilogy. Chris Arreola will aim to get his bid to win a recognized version of the heavyweight title back on track this Saturday as he faces Polish hard man and former Light Heavyweight and Cruiserweight Champion of the World Tomasz Adamek at Ontario’s Citizens Business Bank Arena for the lightly-regarded IBF International belt. -The Floyd Mayweather, JR-Shane Mosley Super Fight is heating to a beautiful boil as the Boxing blogosphere gets into it. I’ve seen a wide range of opinions from the experts on this one, and I’m still undecided in how the whole thing will officially unfold. I know Mayweather has an aura of invincibility, but, as Ring Magazine columnist Michael Rosenthal pointed out, every fighter has that same aura until somebody beats him. The question is whether or not that somebody will be Shane Mosley. 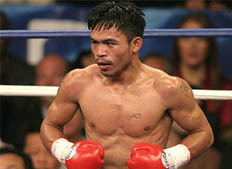 According to Gerry Penalosa and Manny Pacquiao, he will be. Seasoned film fans will cherish Sam Weisman’s pivotal work, D2: The Mighty Ducks. In this cinematic masterpiece, Team USA hockey defies the odds to defeat the largely evil Icelandic team in the Junior Goodwill Games. Recently Boxing Depot.com sent me a pair of traditional bag gloves made by Lonsdale. My old bag gloves were the red Everlast brand with the thumb enclosed. I was interested in using these gloves because your thumb is actually attached, but a part of it remains out. The first thing I noticed as I landed my jab, right hand, hooks and body shots to my heavy bag, is that these gloves had a very nice amount of padding. I always wrap my hands as well, but with the older Everlast gloves, my knuckles would still be very red. With the Lonsdale gloves, they were not red at all. I also liked the Velcro strips that you wrap around and make it tighter around your wrist. The gloves were a medium and they fit just as I hoped they would. The partial coolflex palm is a big improvement for cooling and evaporation. This is my third week using the gloves and they are holding up and more importantly, my hands have never felt better while I am laying it down on my heavy bag. I highly recommend these bag gloves and give them a rating of 10 out of 10! 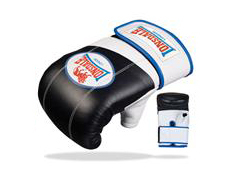 Boxing Depot sells the traditional bag gloves by Lonsdale for $44.95. 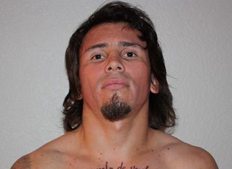 It is hard to believe that the WBC Lightweight Champion, Edwin Valero, is involved in a murder-suicide, where his wife would die from multiple stab wounds, and he would later hang himself in his prison cell the very next day. The world champion was right at the verge of stardom, featured on Showtime, defeating Antonio DeMarco by impressive TKO. I saved $20. 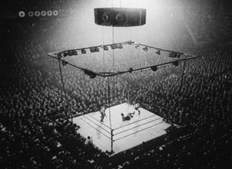 I’m an unemployed combat sports writer and I was fortunate enough to have decided to forgo the opportunity to go a local theatre in Long Beach, California, where the Roy Jones, JR vs Bernard “Executioner” Hopkins fight was going to be broadcast. Thank goodness! UFC 112 in Abu Dhabi is now in the books, and the winners and losers of the card will be returning to their respective home countries to either lick their wounds or celebrate their victories. Anderson Silva retained his title against Demian Maia in the main event, but put on another of his frustrating showboating sessions for most of the fight. Dana White was understandably frustrated with Silva’s performance, and made his thoughts apparent in both the post fight press conference and an expletive filled tirade on twitter later on that day. Hello readers, I welcome you to my mailbag, although I wish that the main topic today was not so grim. Various news outlets reported that WBC Lightweight Champion Edwin Valero was arrested in suspicion of murdering his wife. Valero has reportedly admitted guilt already. Words cannot describe how disgusted I am with this maniac. He had the potential to be one of the best boxers of his generation. He was a true phenom with his record of 27-0 with 27 knockouts, most of them being in the first round. 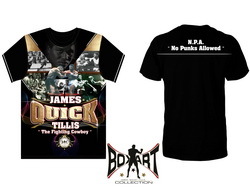 His legend was growing by the day despite limited press and not being licensed to fight in the United States. 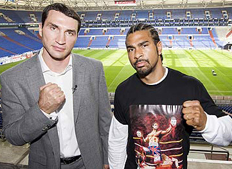 David Haye: Can He Save the Heavyweight Division? 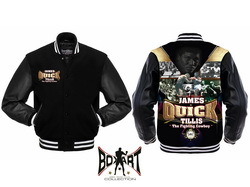 In the 1990s, boxing was good for the heavyweights and for the fans. Lennox Lewis would come along and clean it out and when there were no other worthy challengers, he retired and left a gap. The gap has been filled by the Klitschko Brothers, Wladimir and Vitali. I’ve said it many times over the years and to a great extent followed the sport as such; boxing is the most difficult of all competitive sports as it is tragedy. “Edwin Valero Arrested on Murder Charge” delves into the ongoing downward spiral of one of the most compelling figures in the sport today. What began as “Valero Screws-up Royally” some weeks back, that initial thread by OKMike directed our attention and begged the speculation on the possible causes behind the dark compulsions and demons that had forced an otherwise set and undefeated marquee name down such a grim path. The latest installment, as brought to you by yours truly, was sadly and almost eerily predictable. “Kelly Pavlik – What Now” reviews the recent bloody defeat of a man not long ago perched atop the boxing world; the curious reasons behind an undeniable loss of career momentum, the ongoing rumors of personal strife and a now-doubtful ring future. 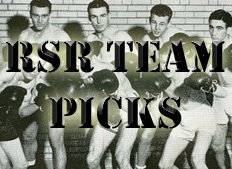 Not unlike the recent middleweight title contest that saw a changing of the guard, the RSR April 2010 Prediction League has had its fair share of shifting momentum and changing of the guard. Having enjoyed a sudden second wind, OKMike has managed to displace AnthonySullivan as the heir apparent, having thoroughly distanced himself from the runner-up position in spectacular fashion. The next round of activity may prove pivotal with the Fight of the Month being the next chapter in the ongoing super middleweight Super Six Tournament. Stay tuned. 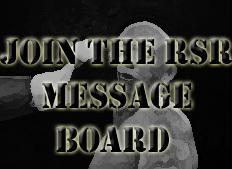 For those of you that are not currently a member of RSR and would like to take part in the various forums and fight polls, or put your powers of pugilistic prognostication to the test in the soon to be posted May 2010 Prediction League, act now using the link to submit your request. RSR would like to welcome our latest advertiser Titanbet.com. “Titan Bet is BIG sports betting, for the BIG sports enthusiasts. Whether you are a beginner on our site, or an experienced player looking for the perfect sportsbook to suit your needs, we know that you will enjoy the action with us. For those of you that want to place some money on your favorite fighter or play some on line poker, Titanbet.com is for you. 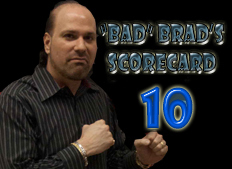 Today, the CEO/Publisher of Ringside Report, “Bad” Brad Berkwitt celebrates his 42nd birthday. We here at RSR wish him a great one and hope that he will come to have many more.